Freshly ground, carefully selected Fairtrade coffee is available to sit in or take away from 10.30am, with Lunch served 12pm - 2pm and Dinner 5pm - 9pm. Freshly brewed coffee, fine loose leaf tea and delicious homemade cakes are available throughout the day, with brunch on Saturday + Sundays being a slow & relaxed all-day affair and served 10am - 3pm - the perfect cure for a heavy weekend.. and of course, we make a mean bloody mary! Great service, staff were very friendly and made excellent food recommendations. 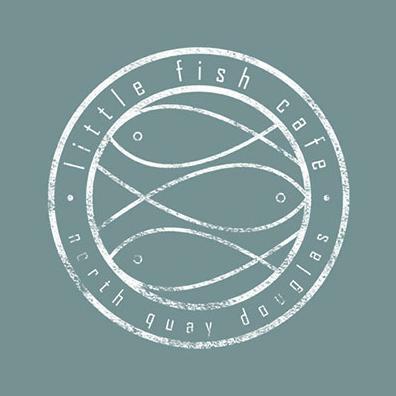 I brought a friend to Little Fish as it was her first time visiting the island and I knew I could rely on the food to be delicious and the atmosphere inviting and relaxed - especially as we were able to sit outside as it was a sunny day. We were not disappointed! The food and cocktails were both tasty as always. We were allocated a lovely table with a view of the harbour and were very impressed with the range of menu choices plus the numerous specials of the day. We only wish we lived nearer (we live in Edinburgh) so we could visit again! Def on next visit to the island. The staff were very attentive and friendly too. I found the online booking "clunky". I had to resubmit details when directed to the booking site. I would also have liked an automatic display of alternative times available at the first pass. Lovely atmosphere, great food and staff. Always, consistently, dependably fantastic! With two more bookings in April already made! Very friendly and helpful staff, delicious food and great atmosphere. Love little Fish and visit regularly. My pudding (the cold chocolate pot) was disappointing. Too rich and too much. I had been hoping to order the smallest sundae but wanted the chocolate version (which I love) rather than the rhubarb and ginger one on offer which did not appeal. Bring back the smallest sundae in chocolate!!! We went for my partner's 30th. The food was excellent and the service great. Would definately recommend to anyone looking for a nice meal out, we had a lovely time. My favourite restaurant on island. Keep up the good work! Consistently great food (and I'm a snob) and a very high-standard of service last night (it has improved over time). Cocktails slightly pricey, but worth it for the food. Had a business lunch on friday, as always, excellent, will be back. I love this little restaurant and frequently visit it with my friends. It’s great for brunch, lunch or just enjoying a couple of drinks. A great location and fantastic and friendly service! Window has been broken for some time needs to be fixed. We were seated by it at first but asked to move as not ideal sitting next to boarded up window. You never let us down, always consistently good. The peanut butter sundae was not well received though, bring back the Mars Bar Sundae please. Food is excellent-highly recommend eggs royale and the Brooklyn toast, service polite and efficient and, although they do request your table back by a certain time it does not feel hurried, small but nicely load out restaurant, well priced. Cold brew latte is delicious. 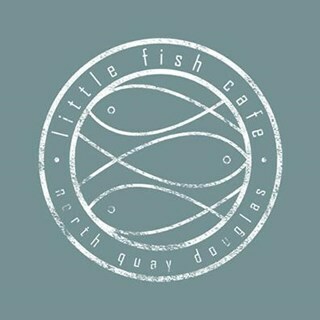 The food wasn't as good as I've experienced in the past at Little Fish. I got the broken eggs. In the past it has always been very good, this time it was just okay. When we weren't happy with our seat they were quick to move us, perfect food  and cocktails. It's my daughter's favorite restaurant  to visit when popping over from London. Lovely birthday lunch with my daughter. Service was efficient and professional and we weren’t rushed. We always have a pleasant/kind service and the food is absolutely amazing! Well done!